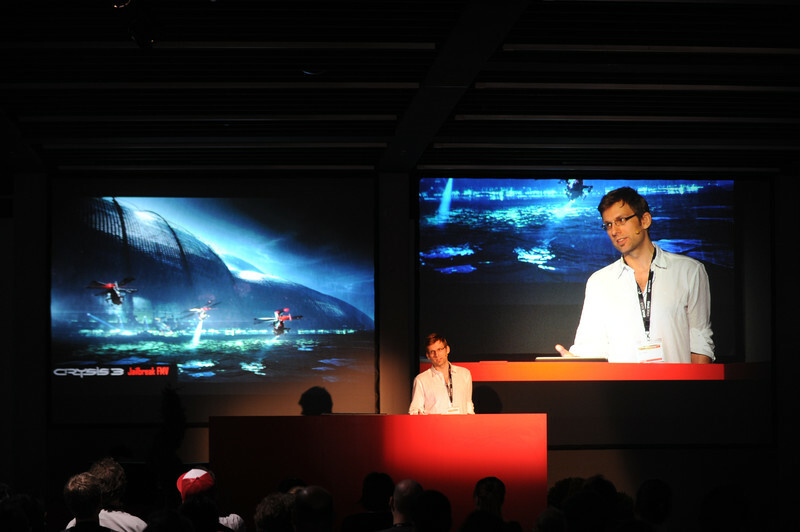 I contributed to FMX with a talk on Friday, representing CRYTEK with some of my group’s projects done in 2012 and the beginning of 2013. The talk’s title was “Cinematics in CryENGINE”. It included some insights into how we did the first story cinematic for Crysis 3, a bit about Crysis 3 trailer production, the WARFACE “pick a side” trailer. To cap off I gave a showing of the STAR CITIZEN reveal trailer. Most of these projects were done in CINEBOX, a special breed of CryENGINE for Previs, Virtual Production and Cinematics. The feedback was lovely. Thanks everyone who was in attendance! Respekt das du jetzt bei CIG bist, der oberhammer!! !